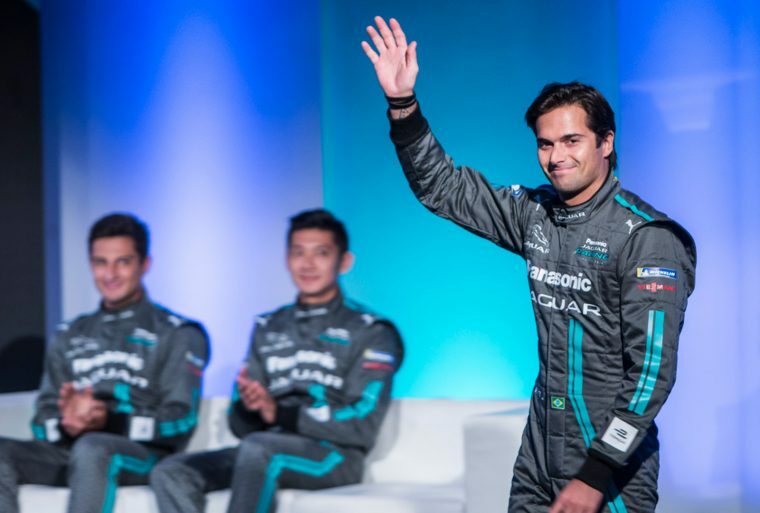 Nelson Piquet Jr is relishing the prospect of a new challenge in the FIA Formula E Championship as he moves team for the first time in his electric career, taking up a race seat with Panasonic Jaguar Racing alongside season three driver Mitch Evans. The Brazilian, who won the inaugural championship in 2015, was announced with the British car giant at their design studio near Coventry in a live-streamed event that also saw the I-Type 2 unveiled. 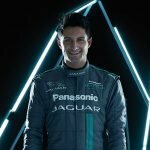 Following a disappointing season three, Piquet Jr decided it was a good time to jump ship and saw the potential in Jaguar’s ambitions. “It’s every driver’s dream to be linked to a manufacturer like this,” said the 32-year-old. “Yes it’s a lot of work, there’s a lot of things in the background, from media to marketing but also there is also the good side, that you’re working to such a high level of technicians, of engineering and that’s very good. 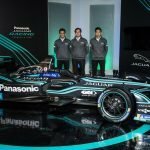 “Since I’ve started with the team there’s a lot of things that I’ve wanted to implement, things that I thought would be a good thing to do, things that I’ve learned in the past couple of years that I’ve done Formula E, which Jag are still kind of catching up and things get done so quickly because they have such a large group of engineers to work. With the news marking the first time that Piquet Jr has changed teams in Formula E, the former Formula 1 driver spoke of how he was eager to look for a new challenge elsewhere on the grid and how there were too many doubts on the future of NextEV NIO to warrant staying with the Chinese manufacturer. “I think just the capacity of changing things quickly and developing, getting everything done in house. I think you can probably even say that NextEV is investing a bit more money but they will have to to run to get on with some of these other manufacturers that have everything in house because, in our case they’re gonna have to have the gearbox done in one place, they’re gonna have to do the inverter somewhere else. Everything is sort of outside, which not only costs more, it takes more time, it is more difficult to make everything fit perfectly together. “They knew that I was looking at somewhere else but they still wanted me to stay, they really wanted me to stay but in the end I took the decision that I wanted to go and that was it, there was nothing that was gonna make me stay. I wasn’t angry or anything, with them, it was just for so many races I was so frustrated. “At some points in your career you need a restart, a refresh, a new chapter. You need to kind of move on and go into something you have more belief. Where I was I had too many doubts, basically – maybe not on the people but was the package the right thing? Not the package on the hardware but just the way the company is, you know – it’s a Chinese company, is the company gonna pull out any time? Is having our parts done all around the world, from the inverter, gear box, you know? Like I said you know, shouldn’t it be together? Piquet Jr’s replacement at NextEV NIO is yet to be announced, but reports suggest that Japanese WEC driver Kamui Kobayashi is set for a test, while Oliver Turvey continues to be contracted to the team.